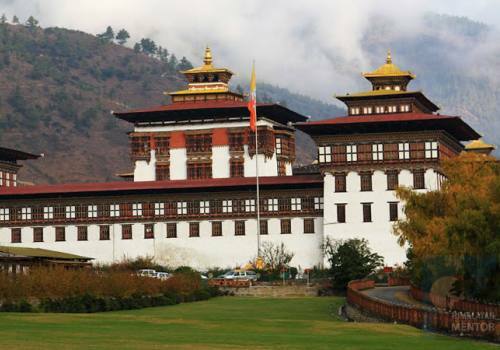 Bhutan, the land of the Thunder Dragon is one of the most highly acclaimed travel destinations. Bhutan is a land of remarkable natural beauty with a pristine and intact environment and a friendly, tradition-bound people. 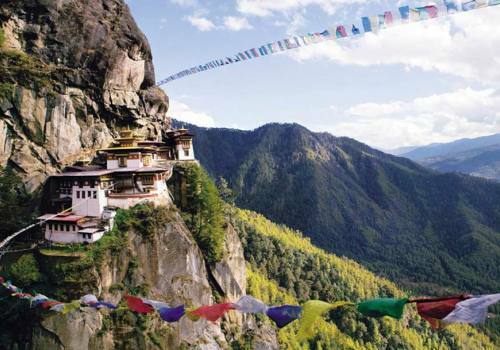 To the discerning international traveler, Bhutan has become an exotic and enticing final frontier. Bhutan's present travel status comes as no surprise given that this tiny kingdom, the size of Switzerland, was zealously sequestered from the world for centuries. The door to this mythical Buddhist kingdom was opened to limited tourism only three decades ago. Travel to Bhutan is still regulated through a policy of high value tourism. At this time and age when tourism most often dictates national economics, travel to Bhutan is a refreshing experience. Here, a deeply ingrained sense of hospitality, a universally acknowledged ecosystem and a living culture ensures every traveler the best that any nation has on offer. Travel to Bhutan is really an exploration. Explore a tradition and culture that has been preserved through the centuries. In Bhutan, it is not about seeing a display showcased for tourists but living and sharing an experience with the Bhutanese. From religious festivals to a celebration on a farm or a game of archery, become a part of it all. This is true interactive travel. Arranging your travel to Bhutan is not difficult . Once you get in touch with Pink Mountain Treks and Expedition, you will be advised to produce documents necessary to process your visas and your travel can be arranged within few days including your visas, Flights, hotels, guides, transport and other logistics. Bhutan visas should be arranged through the tour operators. As per the Bhutanese government regulations, you are required to make full tour payment in advance and upon receipt of full payment, Pink Mountain will process visas with the government of Bhutan. It normally takes 2-3 working days to clear your visas. The Bhutan visa confirmation letter will be sent to you in advance and your actual Bhutan visas will be stamped in your passports on the strength of this confirmation letter on arrival at Paro airport. You will have to carry this copy along with you always. Some airports do not allow you to board flights if you do not have this copy. For the visa application process, you will have to send scanned copies of your valid passport via email to info@pinkmountaintreks.com. Pink Mountain Treks and Expedition's cultural tours run through the regions of western, central and eastern Bhutan, which have distinctly different geographical features, language, people, architecture, culture and ways of life. Regions of Western Bhutan comprises of the Haa Valley (2670m, 8760ft.) opened to visitors only in 2001, Paro (2280m, 7480ft.) the Valley that encompasses the only airport in Bhutan, Thimphu (2320m, 7600ft.) the capital city, the Punakha Valley and Wangduephodrang (1250m, 4200ft.). Western Bhutan is known for its stunning scenery with beautiful farmlands and apple orchards, the pristine rivers from perpetual snow-capped mountains meandering through the main towns of Paro, Thimphu, Punakha and Wangduephodrang. Central Bhutan is separated from Western Bhutan by the Pele Pass (3420m) in the Black Mountain ranges. The region includes Trongsa (2180m, 7153ft.) and the valleys of Bumthang (2580m , 8500ft. ), comprising of Chumey, Choekhor, Tang and Ura valleys. Central Bhutan is known for its buckwheat cultivation, sturdy stone houses, and presence of ancient monasteries and temples. Remote eastern Bhutan is the least travelled area of the country because of terrain and distance. It is also a least developed area and tour to eastern Bhutan provides a complete rustic experience. This region comprises Mongar (1600m, 5250ft. ), Lhuentse (1555m, 5100ft. ), Trashigang (1070m, 3525ft.) and Tashiyangtse (950m, 3200ft.). Nomadic villages of Merak Sakten, in the extreme north east of Bhutan stands as the legendary beauty of eastern Bhutan. Besides eastern Bhutan is known for exotic textiles weaving tradition and simple lifestyles of people. Further down the south east is Samdrup Jongkhar, a small commercial hub of the eastern Bhutan, which also serves as convenient entry and exit point. Samdrup Jongkhar is 110km and three hours drive from Guwahati, the nearest airport in Assam, India.